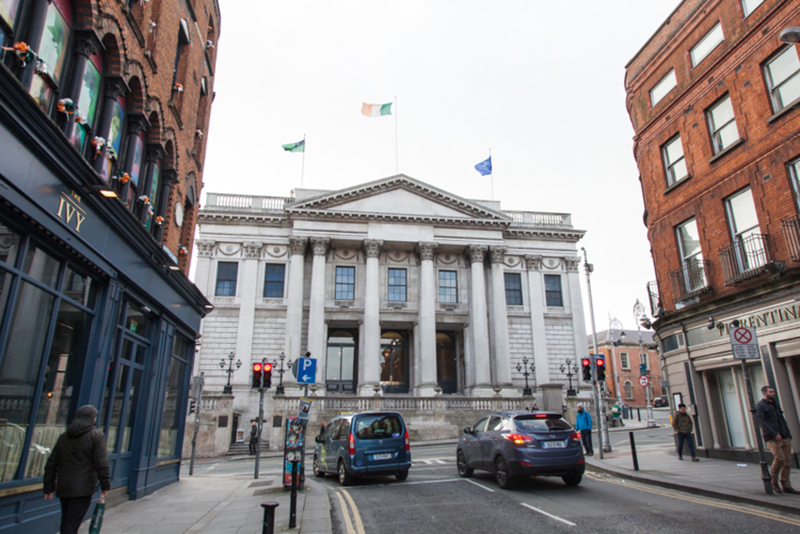 As a result of the wind-down of the Dublin Docklands Development Authority, it looks like two plots of land are going to fall into Dublin City Council’s lap. 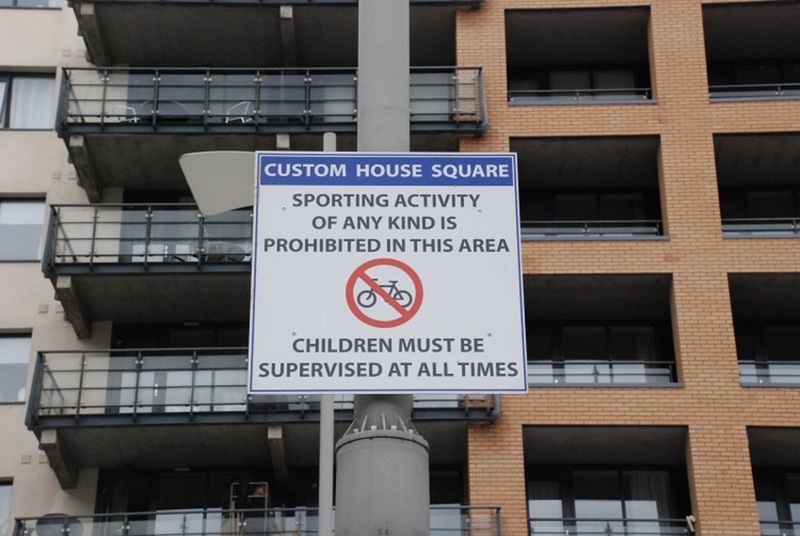 But in the area that includes the IFSC and Hanover Quay, other sites that appear to be public spaces are, and will, remain private. Within the Docklands area, with its wide streets, parking spaces, public lighting, and pocket parks, ownership remains hazy. This can lead to confusion when photographers are told off by private security guards on what appears to be public land, and when delivery trucks parked on footpaths can’t be clamped because the footpaths are privately owned, for example. Green Party Councillor Ciarán Cuffe says questions remain over what exactly is meant by “public” land within the Docklands. Within the area of the Docklands, that stretches from Upper Sheriff Street on the Northside, across the Liffey, and into Ringsend Road on Southside, the majority of public roads, footpaths, and public spaces are overseen by management companies. But there is a proposal to transfer some of it back to the council, according to a response from the council’s Senior Executive Architect Jeremy Wales to councillors on the council’s Central Area committee. “It is planned to have agreed the extent of the areas to transfer to the Council and those to remain with the various management companies within the next two months,” wrote Wales. On a map attached to Wales’s response (above), “civic/public” spaces are highlighted in green. 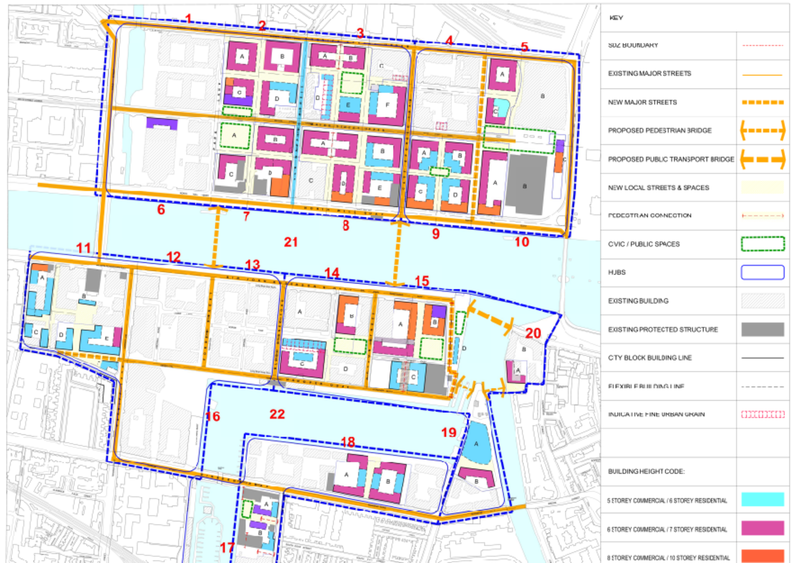 Within the Docklands Strategic Development Zone (SDZ), only two of these nine “civic/public” spaces – Chocolate Park in block 14 and Britain Quay Park in block 15 – are to be taken over by Dublin City Council, according to Wales. The remaining “civic/public” spaces, according to the council, “will be publicly accessible, however they will be privately owned, managed and maintained”. 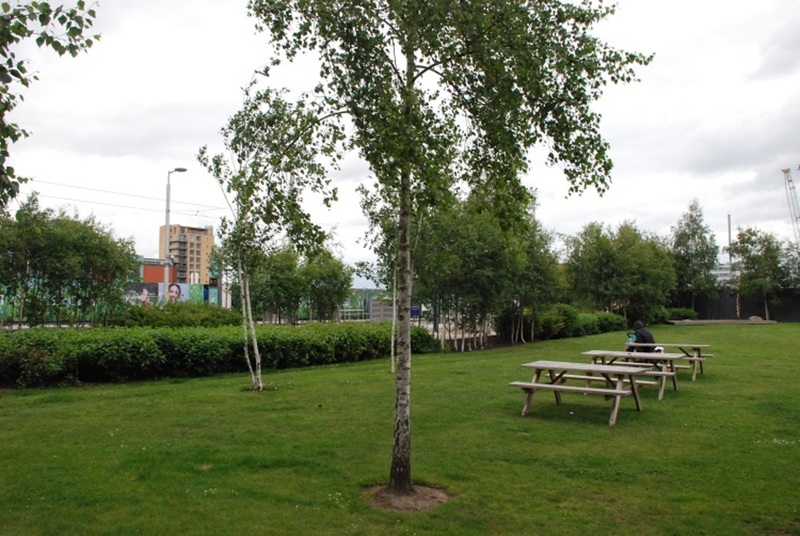 It’s great that the council now own two new public spaces within the Docklands, says Cuffe. And the others? “I think these ‘public’ spaces should be publicly owned and managed,” he says. Cuffe is concerned about the level of control that private entities have over open space in the Docklands, and says issues have arisen in the past with members of the public. “It’s certainly an issue in the Docklands where I understand people have been told to remove bikes parked against lampposts and not to hold events on lands that they thought were public but were actually private,” he says. 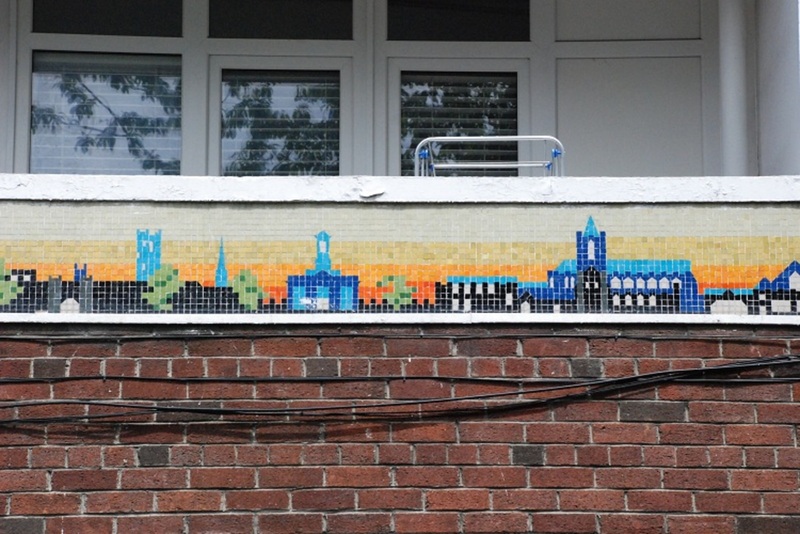 It’s something photographer Eilis Murphy encountered back in 2012. She was walking through the IFSC-Docklands area one day when she was told by security staff to cease taking photographs of private buildings. Murphy decided to set up Uncommon Land, a “photographic intervention into the politics of these spaces, a polite confrontation with the highly controlled and privately-policed nature of these zones”. “It was the murkiness of it all that interested me,” she recalls. As part of the project, Murphy organised a flash mob on Hanover Quay, gathering photographers who’d had similar experiences in the Docklands. “We were just sick of walking through areas being accosted by security for taking photos,” says Murphy. Given the built-up nature of the area, she says, it was almost impossible not to capture a private building at one point or another. But the strict nature of the enforcement disturbed her. And part of the issue is that the public may not always be aware such spaces are private. Elsewhere around this time there were reports of notices pinned to bicycles parked on what turned out to be private land. One of the issues in the Docklands is that various companies are employed to manage these “public” but privately owned spaces, according to Fine Gael Councillor Kieran Binchy. The areas around the IFSC and Grand Canal Harbour are divided among three management companies: Custom House Dock Management Company, Northwall Quay/Mayor Street Management Company, and Grand Canal Harbour Management Company. According to a council response to the Green Party’s Cuffe, “these management companies consist of a Board of Directors which consists of owners, landlords and stakeholders of each building in the area”. “All of the owners contribute to a substantial estate charge for the upkeep and maintenance of the IFSC and Grand Canal estate,” the response noted. The company Bilfinger is contracted by each of the three companies as the managing agent for their areas. Cuffe wants to know how members of the public are made aware that land in the Docklands is private, when it often looks so public. “Some of these streets and public spaces are actually controlled by private landlords and that is a worry,” says Cuffe. Like Dame Street Plaza outside the former Central Bank, Cuffe is concerned by the fact that Central Square at the corner of Upper Mayor Street and Park Lane is privately owned. There’s a car park below it, and the public are not allowed hold events on the green land above the car park, he says. For all intents and purposes, though, it looks like a publicly owned park. 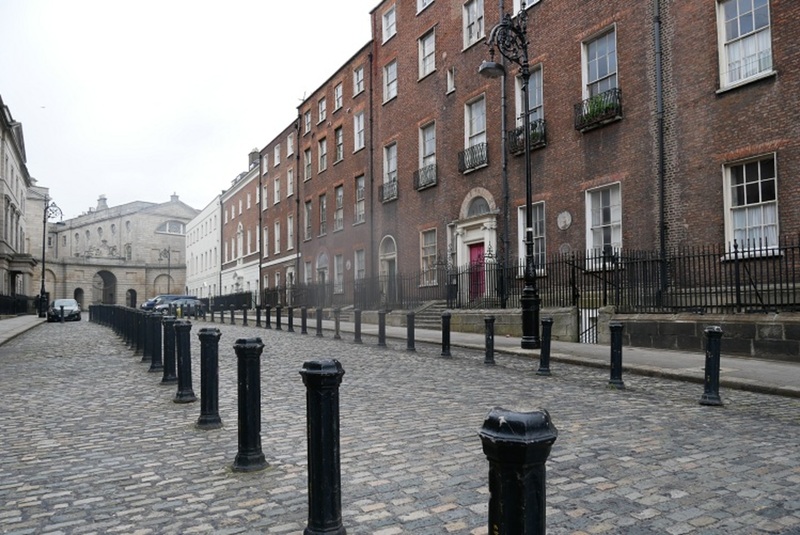 Dublin City Council Press Office did not respond to questions about these spaces and who owns them. For some, the most important issue is whether people can use the spaces. “I’ve no great problem if it’s fully publicly accessible,” says Labour Councillor Dermot Lacey. But it is unsustainable for these spaces to remain in private hands in the long-term, he says. The deals made to manage these spaces – bearing in mind that many new roads and areas were created in the Docklands – meant an obligation and agreement to properly maintain them, he says. 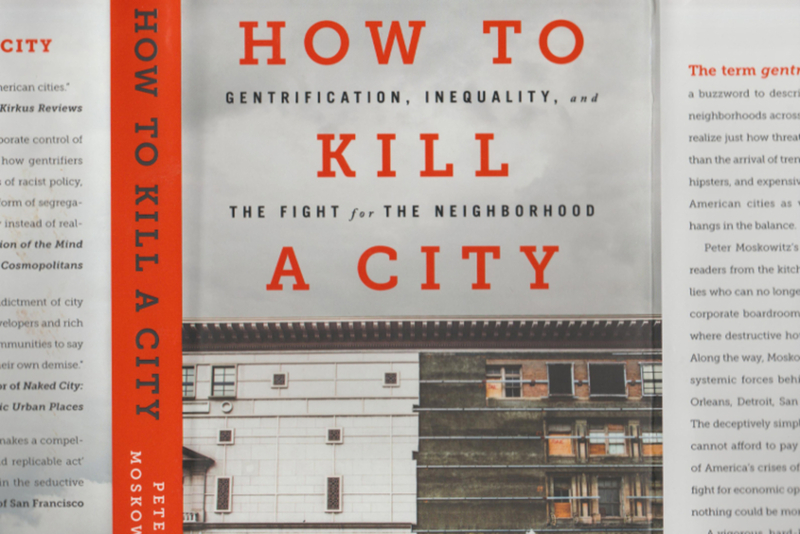 But there are issues that come up around the management of city space, and difficulties because of the patchwork of private ownership. 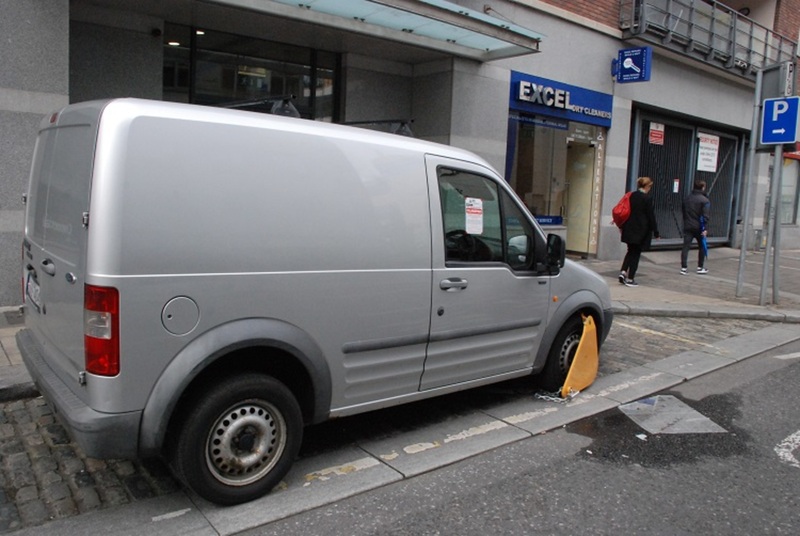 There is an ongoing problem in the Docklands around parking on Upper Mayor Street, says Cuffe. When vehicles deliver goods there, they often park on footpaths. At a meeting of the council’s Central Area Committee in May, Cuffe asked what could be done about this. “I was told, ‘Well these are privately owned’, so it would appear to be public space but privately owned,” he says. 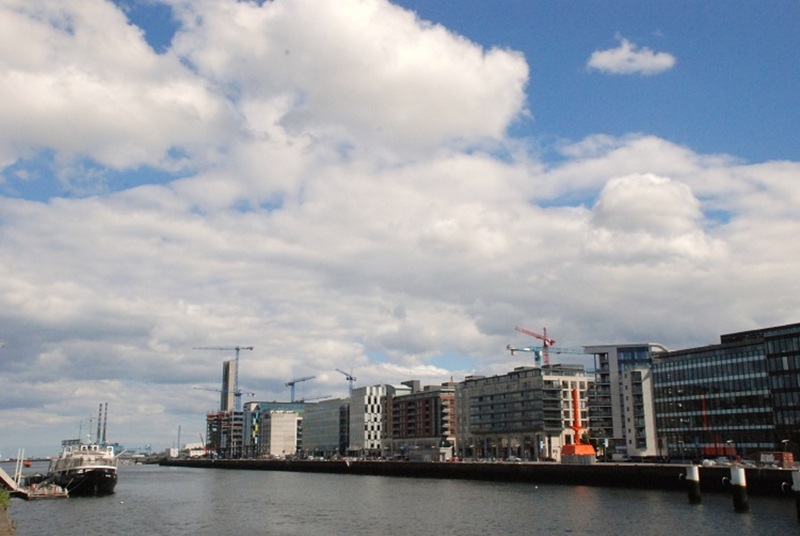 When the Dublin Docklands Development Authority was preparing to hand over property to the council earlier this year, Fine Gael Councillor Binchy says he “tried to insist” that it give more. But many of the spaces that appeared to be public, were in fact owned by private companies. Binchy says he finds this bizarre. “I think it’s ridiculous,” he says. It might be too late to claw back the public land in the Docklands, but there are lessons to learn for the future, especially with the recently approved Poolbeg West SDZ, Binchy says. “We’ve adopted a policy for the Poolbeg SDZ that all areas should be managed by the council,” says Binchy. Cuffe agrees. “We’ve got to learn lessons from what we didn’t get right in the Docklands,” he says. Lacey says he can’t see these “civic/public” spaces being privately owned in 100 years time. “As the city council gets stronger, and public areas improve, they should come under public ownership,” he says. But the Docklands is still a work-in-progress, he says, and the recent land handover is progress of a kind. “Take Chocolate Park, say. Look at that three years ago, and it would [still] have been a private space,” he says. A truly horrible bland corporate enclave of the city. It doesn’t even feel like it is part of the city. I always avoid it. And the area used to have a lot of character. I’ve had a security guard rush out from a building elsewhere in Dublin for taking a photo of a tree on the footpath. It literally makes the day of these security guards who sit inside staring at tv monitors all day. Let them fence and gate off the whole front of the building if it is that much of a concern.